Rage is changing the game again with the much anticipated Hypodermic. This aerodynamic, compact design is extremely tough and offers more penetration than any Rage broached to date! The solid steel ferrule sports a brand new hybrid tip design, allowing the Hypodermic to have the aerodynamics and accuracy of a leading edge blade, coupled with the bone crushing performance of our chisel tip. Slipcam Rear Blade Deployment System keeps energy and power through impact on into the target. 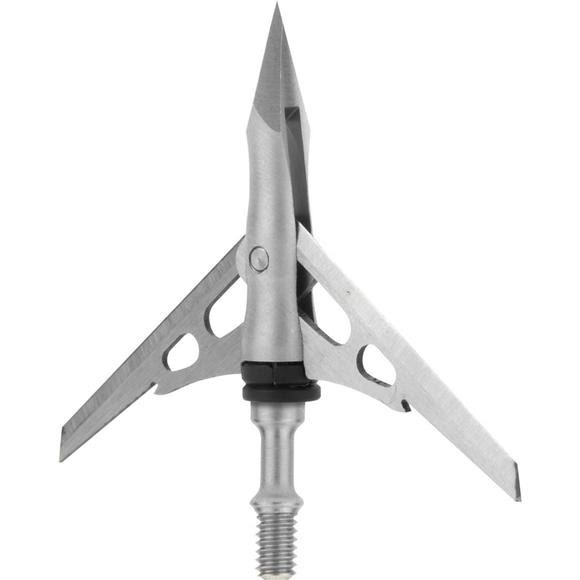 Accuracy of a field tip with deadly impact of a fixed blade broadhead.